For the person who won't settle for less, it has everything. Great for a family or keep some and give some as gifts. 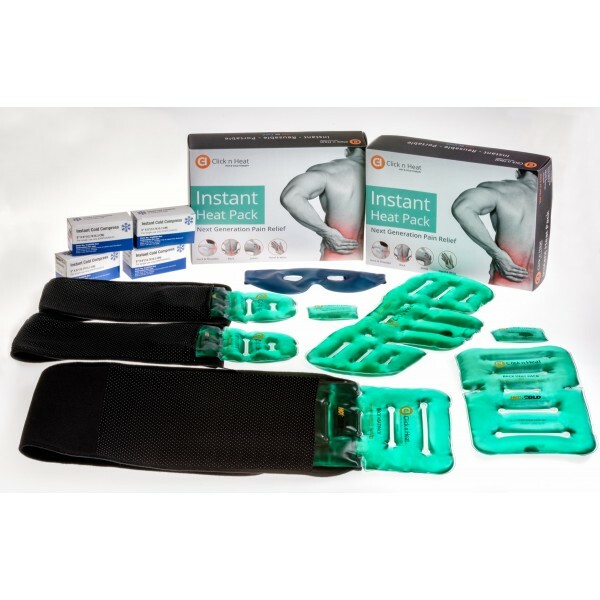 This package has the Back heat pack for lower back pain and sciatica with the ceramic back belt. Also included is a spare back heat pack to swap, when outdoors. There are two sports or joint heat pack with two ceramic bead braces for the joint. This can be used for conditions like arthritis, RSI, tennis or golfers elbow or any ankle injuries. The shorts pack is also good to use on the shin Bio ceramic belt included. It relaxes the hamstring, groin or calf muscle and for the rehabilitation process. The Neck heat pack is excellent for stiff neck, headaches and frozen shoulders. The package also comes with two hand warmers for keeping your hands warm or can be used in first aid. These heat packs are excellent for stomach champs or period pain and can be used as a bed warmer or for camping and caravanning. Great alternative to a wheat bag as Click'n'heat can be used anywhere, anytime, without any power source. 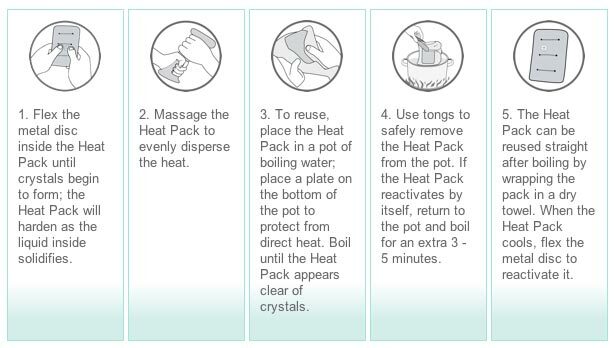 The pack includes four instant ice packs for injuries or first aid and an eye mask for migraine headaches and sore eyes. This has got everything you need and the best saving too.